It's the weekend and you're looking for something exciting to do in Philadelphia. But where can you enjoy an hour of high-tech video karaoke with your friends for only $70? 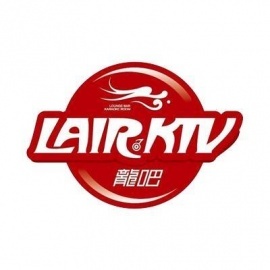 Lair KTV, that's where! And every drink you order counts toward your hourly rate. Awesome, right? It gets better. 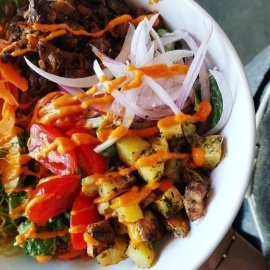 You can also order delicious food from our menu. 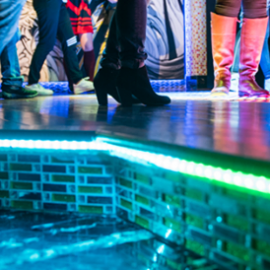 On top of that, every room has a light-up dance floor and state-of-the-art sound system so you can totally get lost in your experience. Check out our rooms and pricing: Room 777 - $100/weekday, $120/weekend, fits 10-20 people. Room 888 - $120/weekday, $150/weekend, 15-25 people. Standard room - $50/weekday, $70/weekend, fits 6-8 people.